Today was smooth, I mean Foxy B "Gotta Get You Home" smooth lol. 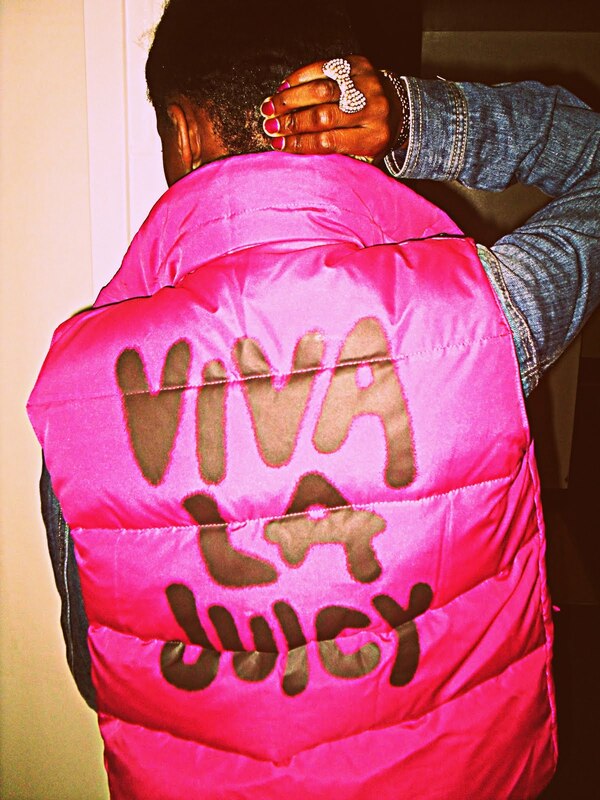 High Waisted Tommy Jeans, White Tee, Jean Jacket and Juicy. Usaully Im a fool for scenery, I love to just sit back and watch, I love being outside just to admire what everyone else is wearing. I loved Ebony's outfit today, Black on Black is always stunning! I felt beyond bummy earlier, My hair was a mess, My skin was oily UGH i hated it. I got through it anyway, Engaged in great conversation. We said the samething at the same time, so I had a good laugh about that. I just spent the last two hours restoring myself. A long hot bath, No polish, Clear Skin, My hair washed, deep conditioned and wrapped up. I believe every woman should have her own similiar private party atleast once every two weeks. Just time for you instead of spending it worrying about tomorrow, men or how beautiful women are on TV.